Have you heard of Alex & Me yet? 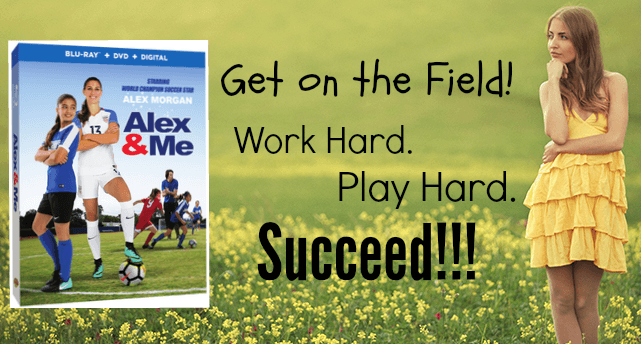 This super exciting soccer film will inspire the whole family! When I was a kid, soccer was my jam! I was on a really good team and made every practice and game. We worked hard and we played hard. That year, we even had the entire team come to my soccer themed party at the skating rink! So yeah, maybe I just dated myself. That’s okay. Kids today will never get how great so many things in the early 90’s were! Or perhaps I’ll just never get over it. haha. 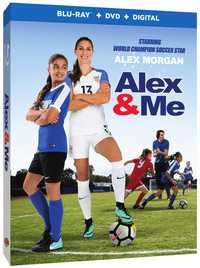 Alex & Me features Alex Morgan, scoring her movie debut! I love watching kids get their time to shine! It also features Siena Agudong, one of the Nickelodeon stars of Nicky, Ricky, Dicky & Dawn and Star Falls. The movie features an uplifting story of a young female athlete who learns how you need passion, determination and self-worth to make all of your dreams come true! I love that it teaches so many wonderful lessons and inspires young girls! I feel like it’s a very important factor to raising smart, confident and successful young girls!